Out of My Mind: Updates! 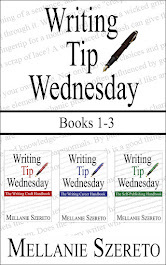 Sorry for skipping this week's Writing Tip Wednesday post! It'll be back next week with writing advice from Tatum Throne. I'm finally recovering from last week's sinus infection, I got new cover art (a peek at the cover is coming soon! ), and Iced Latte is almost for the Publish button! Today I'm over at the Contemporary Romance Writers blog with a guest article on Choosing the Right Publishing Path, the roundtable discussion I led at this month's IRWA meeting. Check it out!